Wizards of the Coast will release a new From the Vaults limited set for its Magic: The Gathering CCG on August 21. From the Vaults: Angels will be available exclusively to WPN retailer stores, Core level and above. 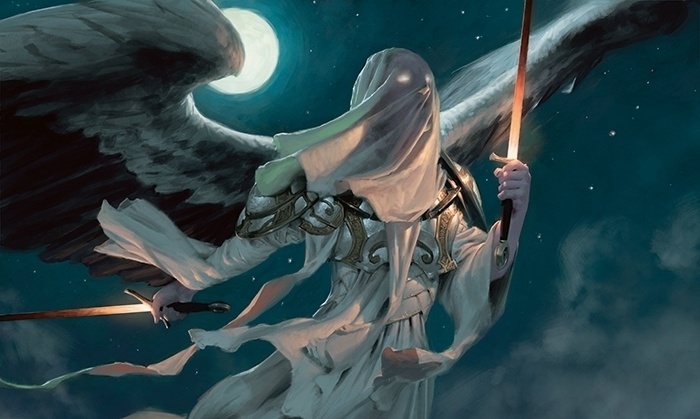 The box contains 15 Magic: The Gathering foil cards featuring formidable winged warriors, including five with new art, as well as an exclusive life counter and a collector’s guide. The cards are printed using a foil process that is unique to the From the Vaults series. The cards are all black bordered and tournament legal (if the cards’ original printings are still legal for tournament play in the respective game formats). MSRP is $34.99. This entry was posted in General Content, MTG News and tagged magic, mtg on May 4, 2015.